Lin Anderson is best known as the creator of the forensic scientist Rhona MacLeod series of crime thriller novels, and for her part in founding the annual ‘Bloody Scotland’ crime writing festival, dedicated to promoting Scotland’s other great national export. Lin's Rhona MacLeod novel Paths of the Dead was shortlisted for the 2015 Scottish Crime Book of the Year. Lin's Rhona MacLeod novels have been published in translation in a number of countries, including France, Germany, Italy, Netherlands, Sweden and Russia. Lin has a second mystery thriller series featuring private investigator Patrick de Courvoisier, set in glamorous Cannes (think 'The Rockford Files' meets James Bond). 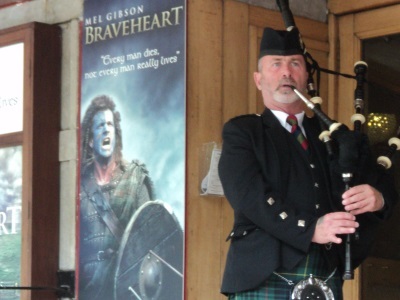 Lin has written one non-fiction book: ‘Braveheart – From Hollywood to Holyrood’, telling the story of the making of the Braveheart movie, and exploring what became known as the ‘Braveheart Phenomenon’. 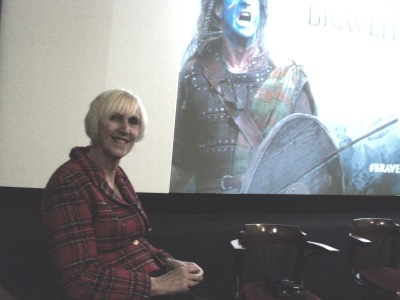 Lin had the honour of chairing the pre-movie panel discussion with the movie actors at the 20th Anniversary Braveheart showing in Edinburgh. Lin is a graduate of the University of Glasgow (MA in Mathematics), University of Edinburgh (post-graduate degree in Education), and Edinburgh Napier University Screen Academy (screenwriting). She is a award-winning scriptwriter, with her work broadcast internationally on radio and TV. She received a Celtic Film Festival ‘best drama’ award for her ‘River Child’ film. She has an Edinburgh-set movie based on one of her short stories, going into production, with shooting scheduled for early 2016. In a recent development, Lin is working with John Sinclair (of Uriah Heep and Ozzy Osbourne’s band) on a Rock Musical set in 1975: ‘Voice of a Generation’. 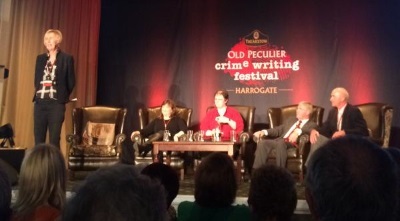 Lin is a former Chair of The Society of Authors in Scotland, regularly chairs events at literary and science festivals and conferences, and gives talks on ‘Forensic Fact Meets Forensic Fiction’, entertaining audiences with amazing true-crime anecdotes, and giving unique insights into her world of story-telling.